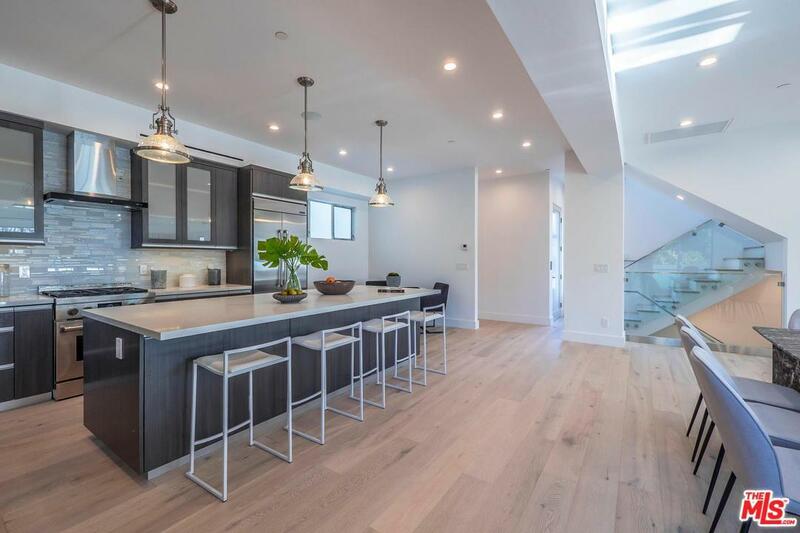 Nestled on the end of a charming tree lined street in the heart of LA's Westside sits this brand new 4,075 sq ft contemporary residence with 4 beds and 3.5 baths. Enter a sleek foyer & family room w/ wet bar that opens out to grassy yard. 1st level incl. a guest suite, laundry rm, & elevator access. 2nd floor consists of great room filled w/ natural light, dining room, powder room, & gorgeous kitchen feat. 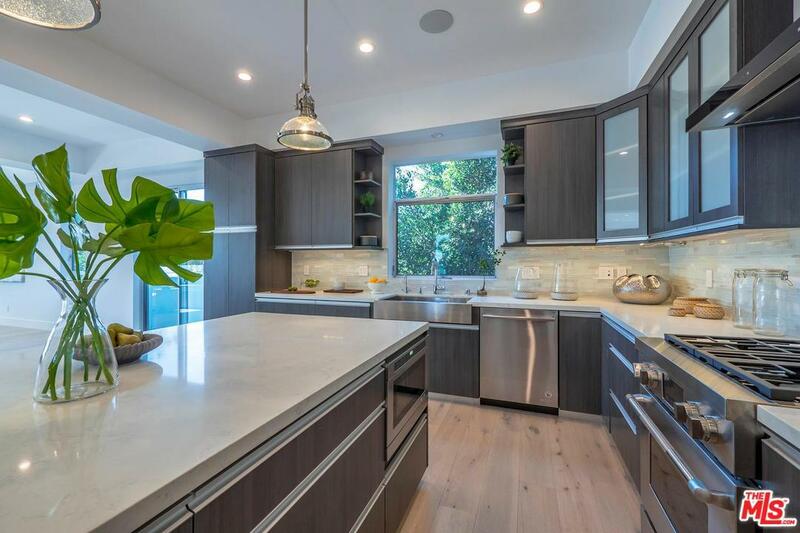 stainless steel Jenn-Air appliances, natural quartz counters, & maple cabinetry. Master suite, 2 secondary bedrooms, & second laundry room are comfortably located on the 3rd floor. Beautiful engineered Oak floors are complemented by Porcelanosa tiling in baths & first floor. 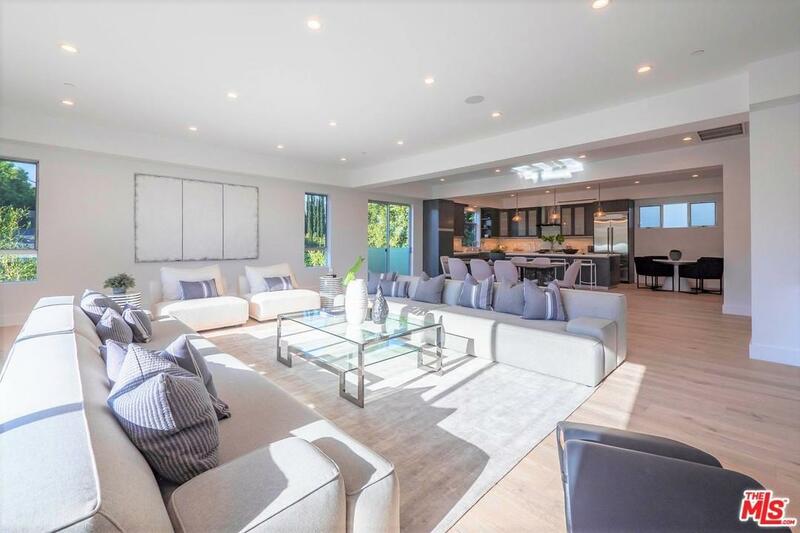 Wired for A/V in every room & comes w/ solar panels, 5.1 audio speakers in great room, dual speakers in master bed & bath, Lutron lighting control system, Navien tankless water heaters, & 6-camera security system. Providing both exceptional quality & value, this stunning house can truly be called home. Sold by Rita Nickels BRE#01939773 of Gibson International- Pacific Palisades.